The National Register of Citizens (NRC) is a document manufactured by the Government which contains the names of Indian citizens. The updation of the NRC is a periodical process. It requires to be updated at regular intervals so as to ensure proper documentation of the citizens as well as to check possible illegal migration. In Assam, the updation of NRC could not be carried out since 1951 due to several political compulsions. The Assam Movement in 1980’s, the language Movement and such other identity movements fought on ethnic lines have heavily impinged on the system of governance in the state thereby leading to a stalemate on the NRC updation issue. After five decades of the stalemate, the present government has initiated steps to update the NRC under the direct supervision of the Hon’ble Supreme Court of India. The history of Muslims in Assam dates back to the 8th century when, according to some scholars, Turks and Arab traders and sailors came to the Brahmaputra Valley and settled in the Darrang region. After the British annexed Assam as part of the Bengal Presidency in 1826, migrant labourers were brought in from central India to work in tea plantations and this necessitated the production of more food, which the local population could not manage on its own. Moreover, a spurt in demand in the jute market necessitated an increase in jute cultivation in Bengal, which again was not possible. Both these reasons were behind the migration of Muslim farmers of East Bengal to Assam, first in small numbers. But by the turn of the 20th century, there was a huge influx of migrants to the chars, or river islands, in lower Assam from Bogra, Rangpur, Pabna and Mymensingh districts of Bengal. Is This the First such register? Who will be considered Indian citizen? To apply for inclusion in the NRC, one’s name or one’s ancestor’s name must be in the 1951 NRC or in any voter list up to the midnight of March 24, 1971, the cut-off date agreed upon in the Assam Accord. If the applicant’s name is not on any of these lists, he can produce any of the 12 other documents dated up to March 24, 1971, like land or tenancy record, citizenship certificate or permanent residential certificate or passport or court records or refugee registration certificate. March 25, 1971 is when the Bangladesh Liberation War began. An Indian citizen from another state who moved to Assam after the specified date is not eligible for inclusion in the NRC though he can continue to vote. Section 6A of the Citizenship Act, 1955 those who came from Bangladesh between 1966 and 1971 will have to register themselves with the Foreigners Regional Registration Officer, and will be included in the NRC, but will not have voting rights for 10 years from the date of registration. But According to Article 6 of the Constitution, the cutoff for determining citizenship in India is July 19, 1948. Why is an updation necessary? Immigration problem has been regarded as a “Security Threat” as it creates problem not only for personal security and human rights issues but also creates internal and international security problem. What happens to those who came from neighbouring countries after March 24, 1971? Many of the Muslims who had fled Assam could only return later, thereby not being included in the 1951 Census and NRC. There are writ petition pending before Supreme Court to declare cut-off year as 1951 instead of 1971. There are question about validity of 1951 NRC data because it was incomplete. Few supports NRC be updated on the basis of 2014 electoral roll. Few feel this revision exercise should be carried out in entire country instead of being selective to Assam. The treatment to those who will be left out of NRC revision will become a political issue. As per Assam Accord, the foreigners who came post 1971 were to be evicted. However, it is much easier said than done. From 1985 to 2012, the government has been able to send back only around 2500 out of over 55000 identified illegal migrants. India needs repatriation treaty with Nepal and Bangladesh to push back those who will be excluded from NRC. There are claims for religion based differentiation of illegal migrants which may further complicate the settlement process. Some political parties claim that the Hindus who came from Bangladesh are not foreigners and should be given citizenship. Since Bangladesh is not ready to take them back, lakhs of such Indian citizens, who have had their names on the Indian electoral rolls for the past four decades, and who are in possession of Electoral Photo Identity Card, would be rendered stateless. Why update NRC in Assam? Is the NRC a court-mandated exercise? 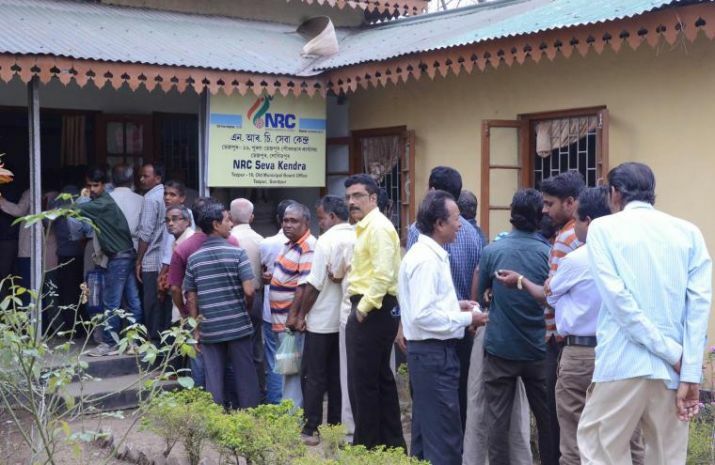 Second and final draft of the National Register of Citizens (NRC) was published with 2.9 crore names out of the total 3.29 crore applicants in Assam. The process for making claims and objections will begin on August 30 and continue till September 28. Adequate and ample scope will be given to people for making objections.